" Readers might not even know there was a pit at Waleswood, closed in the late 1940s, shortly after the nationalisation of the coal industry. The pit was first sunk in the 1850s, before its neighbour at Kiveton Park. It had a fascinating history. The pit was distinct in many respects, even replacing pit ponies with a compressed air system at the turn of the century – the picture shown here was taken shortly before. 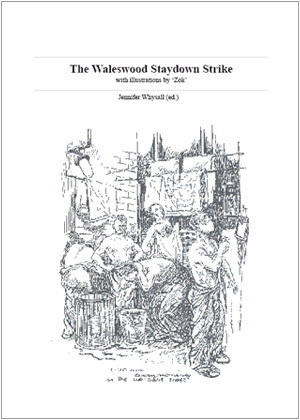 After the Second World War, Waleswood came under scrutiny and the pit was suggested to be particularly uneconomical, with a shorter life expectancy than many of its neighbours..."